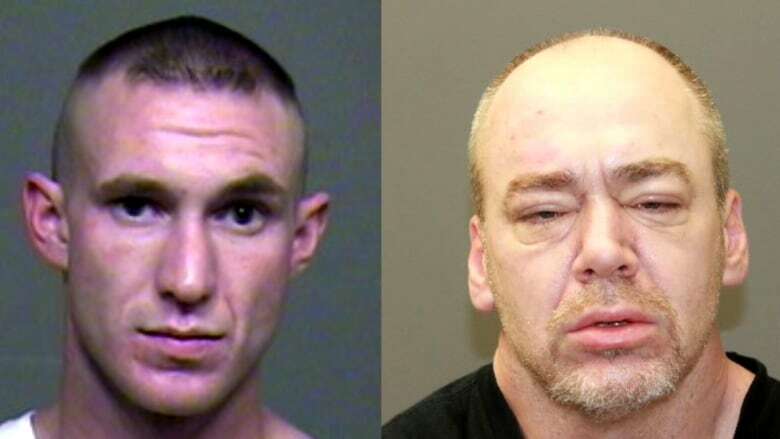 Kamloops RCMP say they are looking for two armed and dangerous men in connection with a double shooting that left one man dead. Jason Glover and another person were shot last Friday in Brocklehurst, a neighbourhood on Kamloops' North Shore. Glover died later in hospital. Gordon Braaten and Hugh McIntosh, both of Kamloops, have been charged with murder and attempted murder. Police aren't certain of their whereabouts. "Both are previously known to police and involved in the local drug trade, and it's believed that this homicide is a targeted incident," said Cpl. Jodi Shelkie with the Kamloops RCMP. Six feet tall with an athletic build. Green eyes and short, brown hair. "We don't belive there is a risk to the general public. However, it would be prudent for the public to remain vigilant and report any suspicious activity to the RCMP," said Shelkie.